In RB Leipzig striker Timo Werner, Germany appear to have finally found the rightful heir to record goalscorer Miroslav Klose. Klose's international retirement following Germany's 2014 FIFA World Cup win left a major void that neither Wolfsburg's Mario Gomez nor Borussia Dortmund's Mario Götze - the latter as a false nine - quite managed to fill. Werner, on the other hand, has solved the puzzle. 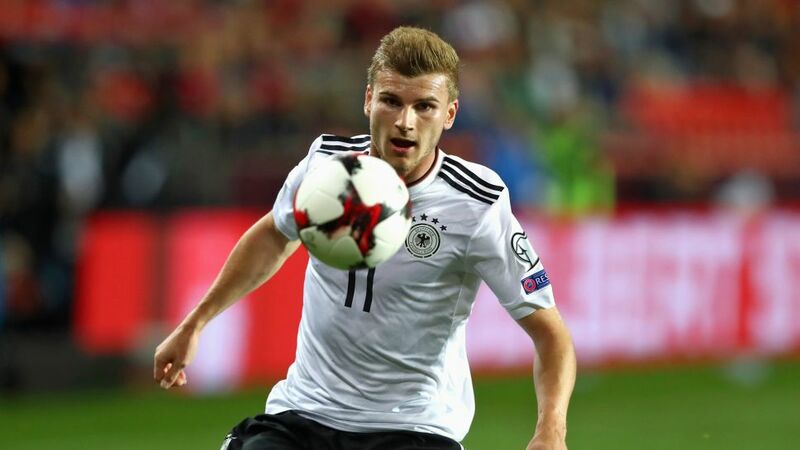 "I've rarely seen a striker that's so goal hungry as he is," explained Germany head coach Joachim Löw, marvelling at Werner's two-goal salvo in the world champions' 6-0 2018 World Cup qualifying win over Norway on Monday. "He's extremely fast and a real problem for every team's defense. He's so intense. I hope he'll continue to develop as he did last season. He'll go a long way." Gomez went one further in his glowing post-match appraisal, adding: "He's going to dominate the German attack for the next ten years at his rate." And yet Werner has already come so far. After joining Stuttgart aged six, he wrote his name into the history books as the club's youngest ever debutant and goalscorer. He later became the Bundesliga's youngest player to score a brace and reach 50 appearances – all before turning 19. He has only got better with age. With 21 goals in 2016/17, Werner finished his first season at promoted Leipzig as the Bundesliga's highest-scoring German. He made his Germany debut in March, and has scarcely been out of the side since. Indeed, the 22-year-old has scored in five of his last six outings and registered an assist in the other - the FIFA 2017 Confederations Cup final win against Chile at that. "I've gained confidence," revealed Werner, who officially ranks as Germany's third-highest scorer after eight matches with six goals - one ahead of Klose (five), two behind Gerd Müller (eight) and four adrift of Klaus Fischer (10). "If I can continue like this, I might be able to help the German team win more titles, maybe as early as in Russia at the 2018 World Cup." Quiz: How well do you know RB Leipzig? Put your knowledge to the test!